Is the Autel EVO drone the DJI's Mavic 2 Killer? Is the Autel EVO drone the DJI’s Mavic 2 Killer? Drone is the word which is commonly heard in current time. It is one of the latest technology which is used for different purposes. The latest and most talked about drone is the Autel Evo drone the DJI Mavic 2 Killer. This drone is made to go head to head with DJI Mavic 2. A drone is an aircraft which is used without any human plot inside it. Usually, the drone is used for the mission which is dirty, dull and dangerous for people. They are used mainly for the military applications, and the user is continuously expanding in the agriculture, recreational, scientific and commercial applications. 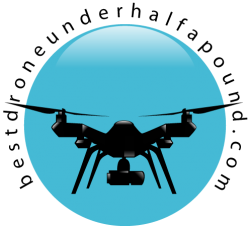 Drones are also used in drone racing, smuggling, agriculture, and aerial photography. The popular drone DJI Mavic 2 is prevalent in current times, and it is considered as the latest invention in the world of drones. They may have lost a competitor in recent times, but there is another company who is bringing their new drones compatible with the Mavic 2 in the market. The drone is Autel Evo, and it is the drone which spots around 4K 60 fps camera which is mounted on the drone. It also has a battery life of almost 30 minutes. 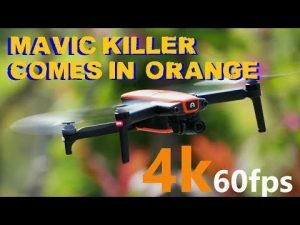 Usually, the 4K is increasing word which is connected with drones, but the Evo is much ahead of all of them as it captures the images of higher resolution at almost 60 fps. It is usually tough to find, and thus the Evo drone is competing with all other drones in the market. Well, it is almost eight months now since the Autel Evo was released. There have been many software improvements made to the Evo over the last few months. The EVO drone has shaped up to be a perfect drone and is more of a competitor to the Mavic 2 Pro or Zoom. All video shot with the Autel EVO is straight from the camera. So, no messing around with the sensor you will get accurate colors and sharpness. Autel even seems to have fixed the EVO white balance issue which was not a big deal for most users. Never the less if you are a photographer you would have noticed it. CES 2019 had just passed, and Autel did not release a new drone, so that proves that they are staying with the EVO as their flagship drone. The camera in the Evo is mounted on a three-axis gimbal. This technique of mounting helps in getting much more steady shots. The camera also makes use of the computer censors so that it supports the unmanned aerial vehicle. This avoids the obstacles. The infrared sensors are used at the back, and it adds to the cars prevention technology as well. Autel Evo drone is the one who can fly almost till 30 minutes and that also at a single charge. It has the rechargeability of an hour to be done. It is the drone which speeds with 65 feet per seconds at the top, and the drone can easily remain in range for almost 4.2 miles. The drone is built with some of the best intelligent mode options of the flight which includes the object tracking. It also offers the flight path with the help of the GPS. It can preset the mission coordinated and that even with the flight patterns, and that is designed of the 3d mapping tasks which are included in the Evo in an excellent manner. The drone is the unique type as it can be easily controlled with the help of the Autel explorer app which is used on both ios and android. It can as be managed with the help of the controller which is having the 3.3 inches of OLED screen and that stream the drone viewpoint in the 1080 resolution. Autel is the newcomer, and it is based on the Washington state. It is the new company to the drone scene, and it has launched its brand new Evo drone which prove to be the new flagship for the Company. It follows the x star line which was launched in 2016. Evo drone is the one which appears to be the competitor close to the DJI folding drone’s Mavic pro. Unlike DJI, Autel does not force you to log in or create an account to use your drone. Take note, DJI. Another difference from the DJI is not having no-fly zones, but the user can establish a maximum distance and elevation to make a custom geo-fencing perimeter. As for me, I salute this choice, because the no-fly zones can be an enormous pain to manage. DJI no-fly zones aren’t based on any coherent patterns (official Class A, B, C airspace for example ), and bigger airports aren’t resistant to drone flights using the DJI system. On the other hand, many DJI users find themselves blocked when they have to take off in the area of a little local airport. The DJI unlocking process is annoying and the business’s response isn’t always fast. With DJI, I have this annoying feeling that I do not completely own my drone. Concerning maximum altitude, Autel is also generous at permitting you to fly up your drone to 2,600 feet (800 meters) while DJI restricts its drone to 1,640 feet (500 meters). Picture quality and 4K 60 recording without harvest (4K30 maximum on the Mavic Guru ). The constructed screen in the control (no need for a smartphone or tablet). Adequate video bitrate of 100 Mbps in 4K and higher bitrate in 1080 (versus 60 Mbps maximum on the Mavic Pro). No harvest in video mode. The absence of no-fly zones and generous maximum flight altitude limit (2,600 ft / 800 meters). Involves a 32 GB microSD card. Great exposure assist tools (EV Indicator and Zebra). As Evo drone came to market and created a significant impact in the market thus, the compact version GoPro which was being offered in recent times is withdrawing the UAV from the market, and they are ceasing their production of the karma option. Evo drone is the one which has some similar gimbals specs with the Mavic 2 pro, but it is a much faster drone. It is the one which is having the frame rate of 4K video, and it is the one which has a longer battery life as compared to the DJI Mavic 2. DJI has a great history in the market and the rugged designs combined with the creative flight options the attraction point is the Evo drone. It is offered at an almost same price point similar to the DJI Mavic 2. It is likely that the Evo drone will be swaying the buyers from the DJI products. Autel Evo drone price is around $9950.00 depending on the package you get. Autel robotics is the Company which released something exciting in the current period which has stayed under the radar till now. It is the EVO which is the portable and folding drone which looks like the complete and perfect competitor of the DJI Mavic 2. the Mavic 2 Pro cost $1499.00 or more and the Mavic 2 Zoom cost depending on which package you get. When the DJI Company introduced the Mavic pro platinum, it was a great attraction to people, but it bumped because of the battery life and then came the Mavic 2 Pro and Zoom. The company wished to say that it was the revolutionized personal flight. The thing is that the DJI has both the competent and portable capabilities in the Mavic 2 and it is something which opening the joys of droning to the new range of the customers. With the introduction and idea of the Autel Evo drone, the DJI may have to sit back in the market. When you have the first look at the Evo drone, you will feel that it is the little remake of the Mavic 2 platform of DJI. The drone is folding, and it looks almost similar to the Mavic pro. It is the one which has the boast intelligent flight modes, three-axis gimbals and also the feature of the obstacle avoidance. It offers you with the 30 minutes of flight time and it as the operating system which allows the distance of 4.2 miles, i.e., around 7 km. You might be confused that the features of both the DJI Mavic pro and the Evo drone are almost the same then what makes the Evo drone much more attractive. Well, the answer is the camera and the controlling system. The stabilized camera which is used in the Evo drone can shoot the 4K, and 60p resolution images and the remote comes with the OLED screen inbuilt, and that is of 3.3 inches. It allows you to get the live feed of the images and that also at 720p this it will enable you to get images easily. You also don’t need to plug the phone in the remote controller of the drone. Moreover, the Evo drone also maxes at a speed of 20 meters per second, and that means 44 miles per hour. It is a hair faster than Mavic pro and its handling. The only problem with the Autel Evo drone is that it is not able to commit to some spec release date at present. It is said that it will be arriving soon, but the time has not been specified. 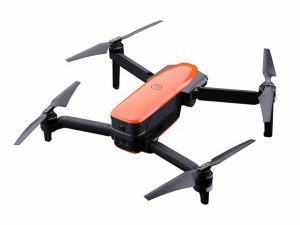 It is said that it will cost around $1000 and that is $100 cheaper than the Mavic pro platinum. It is cheaper and gives better battery and camera features. As DJI is suffering from some problems, the Autel Evo drone has the real chance and opportunity to steal the market of the Mavic pro. In CES 2018 the Autel announced that it would be launching the one flagship aircraft named as Evo drone. Evo is the drones which are potable camera one, and it has flexible arms, and also the sleek and compact factor of the drone are attractive parts. People are excited about the features of the products, and they are eager to launch the product of their customer. Some of the attractive features of the Autel Evo drone include the 4K 6- fps camera which is equipped with the three-axis gimbals. It also has the downward and the front, i.e., the computer vision and also the rear, i.e., the obstacle avoidance system. It has the OLED screen which is 3.3 inch, and it has the inbuilt remote controller which allows eh 720p live video. You don’t need to connect it with your phone. The flight time which it allows is of 30 minutes and it can speed up to 20 meters per second. The battery is 4300 mAh Lipo battery which allows 30 minutes of flight time. The charging time is 1.3 hour. It can work up to 7 km of range, and it can be handled with the app which allows the flight features. The company and its people are very much honored with the positive response which they have achieved after the announcement of the drone the expected prices is $1000. It is ensured by the company that they deliver the products which offer the highest quality and also the reliability for customers. Last year they had some expectation which they were not able to achieve. They are not able to deliver the high quality and the reliable offering with their x star series. Moving forward from that they have decided to launch the Evo drone. They focus on the goal of communication in a clear manner. The Evo drone is the one which offers you with intelligent flight control. It gives the front and the rear sensors which allow the Evo to fly with different intelligent flight modes and also with the obstacle avoidance. It also contains the 4K camera which is equipped with the three-axis gimbals, and the camera records the high definition footage with 600 frames per second. OLED controller is the feature of the products. The controller of Evo has the in-built 3.3-inch screen which allows the live HD and transmission and also the 7 km range transmission. The Autel explorer app of the product is entirely compatible with both the android and ios system, and it allows the operators to access the autonomous flight mode including the GPS follow, orbit, viewpoint, dynamic track, and the waypoint mission planning. The Evo drone is the one which has an impressive feat of engineering. It makes use of the cameras and the sensors at the front, back and bottom of the drone and creates the 2d and 3d maps which allow sensing as well as avoid the obstacles. It is not like the obstacle avoidance systems in the market, and it will not only halt the drone, but it will also maneuver safely near the obstacle. DJI Mavic Pro is also having the same sensors like the Evo drone, but it lacks the rare facing IR obstacle avoidance systems. 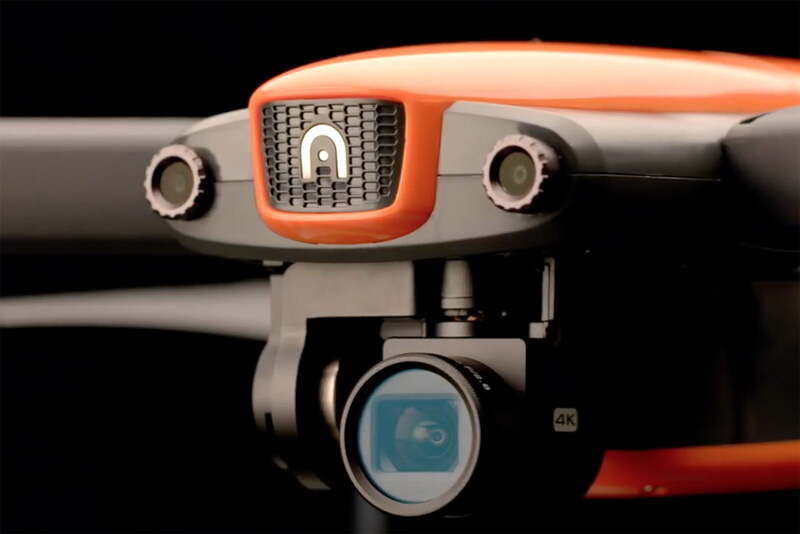 The Autel representative drones the impressive ability to sense obstacles and also allows the ability to record the location in its memory based on the drone changing the view angle and the orientation. The Evo drone offers with the sensors including the download stereo cameras, forward cameras for the obstacle avoidance, primary forward camera, download sonar sensors, GPS and the rear IR obstacle. The camera built inside the drone looks impressive, and it rests on the three-axis gimbals. It makes use of the 3.5 mm lens, and it has the field if the 94 degrees and also has the focal ratio of 2.8. It is highly capable of transmitting the live video feed to the remote controller. You will not need to use the Smartphone as the remote is having the 3.3 inch OLED screen which allows the high HD video streaming. It allows you to get the Evo in the air a lot faster as compared to the Mavic Pro Platinum or Mavic 2. You would desire the larger screen as compared to the business card. There is a one-inch sensor, and the camera is more significant as compared to the Mavic Pro Platinum. The drone is compatible with both the android and the ios devices, and the Autel explorer app allows you to connect with Evo, and thus it opens you to more features in the market. The user can easily access the autonomous flight modes like the GPS follow, orbit, viewpoint and lots more. You can also customize the settings as per your personal preference. As far as the pricing of the product is concerned the Autel Evo drone is less expensive than the Mavic 2 by far. It costs south of a $1000 with a much better camera and other features as compare.